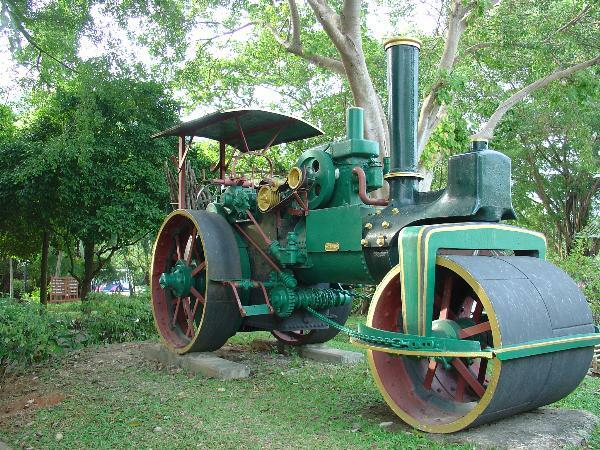 WE FOUND THIS AVELING & PORTER STEAM ROLLER IN AO NANG.THERE IS NOT MUCH INFORMATION ON IT,SO WE SEARCHED THE INTERNET AND FOUND SOME INFORMATIONS FROM A STEAM ROLLER FAN,A FEW YEARS AGO HE SAW THIS MACHINE,HE WROTE: THE CYLINDER BLOCK WAS REMOVED AND REPLACED WITH A BIG YANMAR DIESEL ENGINE. THIS CONVERSION WAS DONE WELL AND ALLOWED THE FLYWHEEL TO TURN WITH THE ENGINE IN BOTH DIRECTIONS, THE YANMAR EXHAUST WAS PIPED UP THE CHIMNEY. 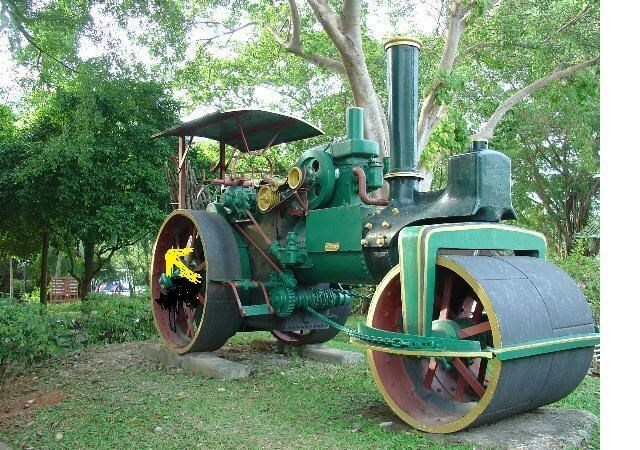 IT WAS ALL IN GOOD WORKING ORDER, WELL OILED AND MAINTAINED. SADLY IT NO LONGER TURNS AND NOW STAND IN AO NANG, PAINTED GREEN (THAI STYLE WITH A BROOM) AND OPEN TO ALL WEATHERS. onpx jrry evtug fvqr....yrsg hccre cneg "10 b pybpx"